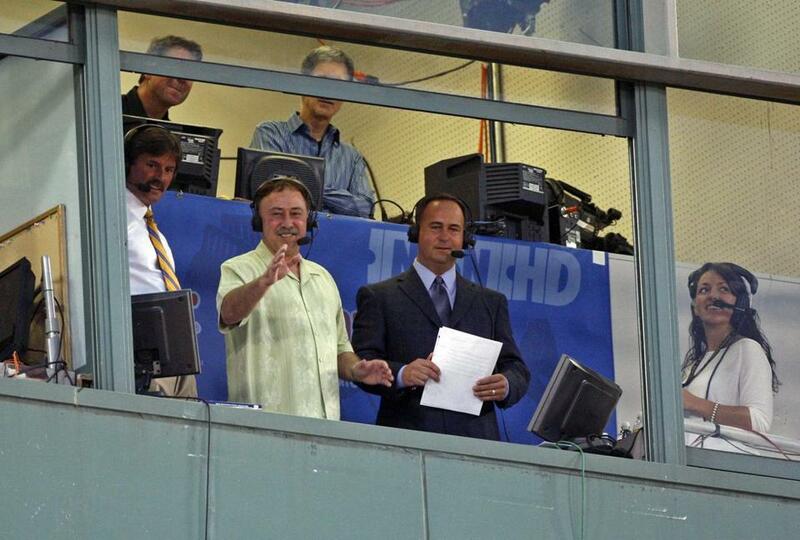 Jerry Remy recently signed a five-year deal with NESN. Jerry Remy wants to assure Red Sox fans that he really is in a positive frame of mind. “I am in a good place, I guess you could say, I really am,’’ the popular Red Sox television analyst said Thursday, the morning after he announced during a recorded interview with Tom Caron on NESN that he’d recently been treated for a recurrence of lung cancer. “I wasn’t blindsided by this like I was before. The spot on my lung was something we’d been keeping an eye on at my checkups since my surgery [in November 2008]. “When the doctors noticed during my routine six-month CAT scan that it had changed and was beginning to form a tumor, that’s when we decided to treat it. After Remy’s surgery more than four years ago, his recovery was prolonged and difficult. He suffered from pneumonia and an infection, and didn’t feel right as the 2009 season began. He took a leave of absence April 30 that lasted into mid-August. It was upon his return that he revealed he had been struggling with depression. “A big part of it was that I couldn’t do my job,’’ said Remy, who has been the Red Sox television analyst since 1988. “I couldn’t be at the ballpark, around baseball. Remy, 60, confirmed that he recently signed a new contract, which begins this season and runs for five years. The news of his deal accompanied NESN’s announcement Wednesday about his cancer recurrence. Red Sox fill-in voice and pregame/postgame host Jon Rish wasn’t the first or most prominent WEEI employee to depart during its cost-cutting and blood-letting. And with Entercom CEO David Field visiting the station Thursday, he may not even be the last this week. Field’s rare visit is expected to include a pep talk for employees who have seen ratings dip and colleagues such as Glenn Ordway and Jon Meterparel depart, in part, for money-related reasons over recent months. But Rish, who chose to quit rather than accept a 30 percent pay cut, is the only one who will be repeatedly asked this question: How does someone give up a job as a Red Sox broadcaster, which is perceived as a dream gig for so many New England baseball fans? “Well, a big part is because the radio industry has changed in a lot of ways,’’ said Rish, who is pursuing a career as a software programmer. “I wish I could say it was for the better. But it probably isn’t for the better. Rish, who had been working without a contract and whose last day is April 24, feels fortunate to have gotten an opportunity that so many in broadcasting covet, but he has no regrets. A final decision hasn’t been made, but CBS Radio and 98.5 The Sports Hub expect to announce who will succeed Gil Santos as the play-by-play voice of the Patriots around the time of the NFL draft, which begins April 25 . . . Speaking of the draft, ESPN, which will televise the three-day event for the 34th straight year, confirmed its coverage teams. Chris Berman, Mel Kiper Jr., and Jon Gruden will be on the main set for the prime-time first round, with Chris Mortensen and Adam Schefter reporting from a second set. Suzy Kolber will interview prospects on site. Trey Wingo, a far superior host to Berman at this point, will anchor coverage on Days 2 and 3. Among those joining him on set will be Trent Dilfer and Todd McShay.